AS TRADE tensions between the United States and China continue – more tariffs are due Friday – economists are putting numbers to the downside risks of a global trade war. A laser focus on working with local partners and tailoring services to the needs of customers across industries has been key to the success of Alibaba Cloud in Southeast Asia, according to a top company executive. Japan will deploy a helicopter carrier to the South China Sea and Indian Ocean. How will Beijing respond? The expansion of intra-Asean trade will boost the capacity utilisation of ports in the region, said Johor Port Authority (JPA) General Manager Muhammad Razif Ahmad. Manufacturers in developed markets are eager to explore the digital technologies covered by the ‘Industry 4.0’ label, but Asean firms have been slower to get onboard, says McKinsey in its report Industry 4.0: Reinvigorating ASEAN Manufacturing for the Future. Southeast Asia’s central bankers are taking diverging policy stances even as their economies get slammed by the same headwinds. Services have an important role to play for inclusive growth and productivity in Asean, but service sectors in many member states are lagging behind those in peers elsewhere, argues the OECD in ‘Developing and liberalising services to boost productivity in Southeast Asia’, published in the 2018 edition of the OECD Investment Policy Reviews: Southeast Asia. A survey of consumers in Indonesia and Thailand has yielded insights that consumer goods companies would do well to heed when heading into these major markets, say McKinsey’s Kapil Joshi and Ali Potia in their article ‘Shaping the future of consumption in ASEAN’. Across Southeast Asia, there is a fierce battle raging for e-wallet dominance. E-wallets, or digital or mobile wallets, are types of payment instruments that can be used to transact at physical locations and online. Key members of the judiciary from Southeast Asia, including Filipino judge Romeo Tagra, met Wednesday at the European Union Intellectual Property Office (EUIPO) to share their respective state’s intellectual property (IP) enforcement measures. According to a survey done in 80 countries Japan and Australia are the only Asia-Pacific countries that features in the top 10 best countries of the world. Sustained economic growth and infrastructure development should drive ASEAN automotive market growth forecast to 2024. 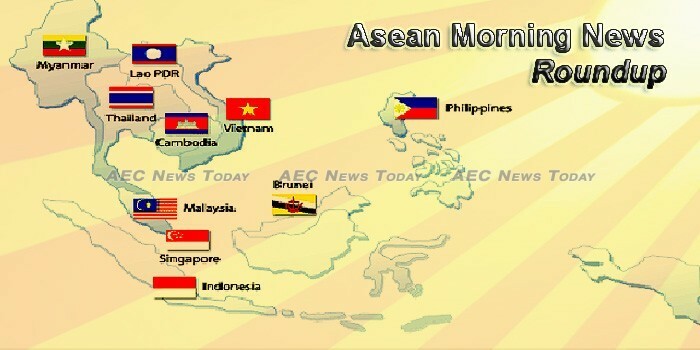 Thailand is expected to register the highest growth while Indonesia will continue to be the largest market. Cambodia on Wednesday (Jul 4) reopened the final stretch of a railway running from the capital Phnom Penh to the border with neighbouring Thailand, the first time the line has been operational in 45 years. The Ministry of Commerce is seeking Japan’s help to improve products manufactured by small and medium enterprises in the Kingdom and bring them up to Japanese standards of quality. Could a shrub be the solution to Cambodia’s plastic bag pandemic? Escaping the middle income trap through Making Indonesia 4.0? Much attention has been afforded to President Joko “Jokowi” Widodo’s recent launch of Making Indonesia 4.0, an industrial strategy that chiefly emphasizes harnessing technology to boost growth in tune with the digital era. China Development Bank (CDB) is planning to disburse US$1.1 billion in the second phase of construction for the Jakarta-Bandung high-speed railway project. The first phase, involving a loan of $170 million, took place in May. Operations at Freeport McMoRan’s (NYSE:FCX) Grasberg copper project in Indonesia have been allowed to continue while the Indonesian government negotiates a controlling stake in the mine. EDL-Generation Public Company, Laos’ electricity producer, has announced coupons for its baht-denominated bond offerings of up to Bt17.5 billion. Vietnam’s export turnover to Laos rose by 9.87 percent to 244.6 million USD in the first five months of 2018, according to the General Statistics Office (GSO). Laos is one of the fastest growing economies in Asia, but remains heavily reliant on foreign direct investment. The project owner of Malaysia’s US$20 billion East Coast Railway Link has told its main Chinese contractor to suspend work, both companies said on Wednesday (Jul 4), raising uncertainty about the future of part of China’s Belt and Road plan. Malaysian authorities have charged former leader Najib Razak with corruption and criminal breach of trust in connection with a multibillion-dollar scandal surrounding state fund 1MDB. Garment sector earned US$ 759.172 million from exports of CMP garment, up US$ 382 million from the same period last year, according to the Commerce Ministry. A team of scientists have discovered a previously unknown virus in Myanmar, as well as another virus that has previously only been observed in Thailand. Impatient with the sluggishness of the economy, local and foreign investors are losing confidence in the Myanmar government’s economic policies, according to a June 29 report on The Irrawaddy, an online news site focused on Myanmar. The Philippines and the Asian Development Bank (ADB) have signed a memorandum of understanding (MoU) covering an indicative 7.1 billion US dollars sovereign lending program to the Philippines from 2019 to 2021, the Manila-based bank said on Wednesday. The Philippine franchising is set to become a $24-billion industry by 2020, a 32 percent jump from $18.1 billion from 2017. The Philippines is pushing for “pragmatic direction” in negotiating the Regional Comprehensive Economic Partnership (RCEP) deal, urging RCEP members to be more “realistic than idealistic,” said a press release by the Department of Trade and Industry of the Philippines on Wednesday. Amidst risks arising from the global economy, Singapore’s economy is expected to remain on a steady expansion path in 2018 and overall GDP growth to hit 2.5-3.5% in 2018, Monetary Authority of Singapore (MAS) managing director Ravi Menon said. To accelerate plans to make Singapore’s aviation industry more efficient and innovative, another $120 million will be set aside to support various initiatives. The Monetary Authority of Singapore (MAS) is scrutinising new information emerging from Malaysia and elsewhere on the 1MDB scandal, as investigations by Singapore authorities into individuals continue, said MAS managing director Ravi Menon on Wednesday (July 4). Navy Seals are urgently training 12 young footballers and their coach to use diving gear so they can venture out of the partially flooded Tham Luang cave in Chiang Rai’s Mae Sai district, where they have been trapped for 11 days. The Bank of Thailand’s rate-setting panel will start tightening monetary policy if economic expansion continues and inflation stays within its target range, said the Monetary Policy Committee (MPC) in recent years. Rescue teams in northern Thailand were giving crash courses in swimming and diving on Wednesday as part of complex preparations to extract a young soccer team trapped in a cave, and hoping for a swift end to their harrowing 11-day ordeal. Vietnam’s economy grew 7.1 per cent in the first half of 2018, mainly driven by industry, construction and services – particularly wholesale and retail, transport, banking and finance, education and healthcare. The government’s refusal to extend the deadline to look for strategic investors closes the gates for foreign investors looking for a strategic stake in Vietnam Oil Corporation (PV Oil). Vietnam made 1.2 billion US dollars in revenue from the export of fruits and vegetables to China in the first half of this year; up 18.1 percent compared to the previous year, as announced by Vietnam’s Ministry of Industry and Commerce on Thursday.